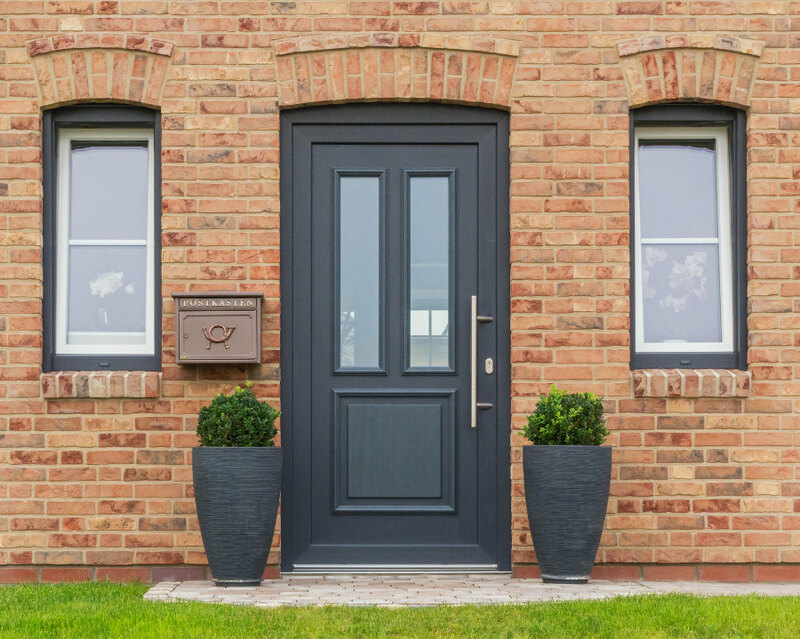 Even though front doors come in a range of materials, it’s more than likely you’ll end up opting for one of three types made from either wood, uPVC or composite. To make your job of choosing between them easier we’ve honed our knowledge to identify the material type that stands out as the best across four main categories. Wood doors are hard-wearing but are prone to splitting and warping. To avoid problems, you’ll need to complete regular maintenance in terms of sealing and painting your door if it is to last. UPVC and composite doors, on the other hand, require minimal upkeep and have a longer predicted lifespan than those made out of wood. However, as composite doors are solid and generally thicker than plastic, our winner of the durability category is composite. The potential to keep out would-be intruders is usually high on everyone’s list when it comes to choosing a front door for their home. UPVC and composite doors are both good options for security because – unlike with wood – they retain their shape and won’t end up receding away from the doorframe to create problematic gaps and cavities. Both composite and uPVC doors are very strong, yet composite doors are made to twice the thickness and are finished with a polyurethane outer coating that gives a rock-hard exterior. Considering this, we think composite has to win the security category overall. A good quality wood door can be expensive to buy and requires regular maintenance to keep it looking its best, meaning its cost can add up over time. Whereas composite doors may not need any ongoing maintenance they are a more expensive option from the outset than a uPVC alternative. As well as being an affordable product, if fitted properly, uPVC doors have a long lifespan. This makes uPVC front doors an attractive choice if your budget is tight and they therefore top the list for us in terms of price. If you want your front door to make a great impression then there are really only two main contenders for the style category: wood and composite. Wood not only enhances the look of your home with a natural, elegant finish, it also gives you the option of changing your mind with regards to colour and door accessories at a later date – even after it’s installed. Although you won’t be able to add accessories such as door knockers or letter boxes once a composite door has been manufactured, they can be created to emulate the beauty of wood in terms of its look and texture. They can also be created to spec to satisfy just about any taste and effect. So, when it comes to offering timeless style that you can update over a time, wood gets our vote; but for the sheer range of finishes and textures available composite wins hands’ down. Winner: Both wood and composite.